Landless Gentry: Review: Cira 1940 Swiss Army Leather Messenger Bag - My Constant Companion Over the Past 7 Years!! Review: Cira 1940 Swiss Army Leather Messenger Bag - My Constant Companion Over the Past 7 Years!! To Say I have loved this bag over the past seven years is an understatement. Originally purchased, to carry my personal gear and completed watch straps to and from my workshop, it has served this purpose with aplomb just about every day since. The leather is heavily oiled vegetable tanned leather that is 3.5mm thick the buckles are heavy duty hand forged steel roller buckles and all the stitching is done by hand using the traditional saddle stitching with very heavy duty natural linen thread. These bags like the Swiss Ammunition pouches were made under contract by Swiss 'sattlers' ('Sattler' being German for Saddle-maker) all over Switzerland under design contract from the Swiss Military. Each bag is stamped with the original sattler's maker stamp, the year of manufacture and a Swiss Government inspector's stamp (the one with the Swiss Cross). The bags of this design appear to have largely made between the 1930's and 1950's after which the design was changed to a smaller, more ridged map case, which while beautifully made with great leather is neither as useful nor as desirable for daily as this design. Bags of various designs were made during this period, some of which appear to be engineer's bags (with many small pockets sewn into the side to hold various instruments), some which have a small pocket added to the front and with a two buckle/strap closure (they while nice are less convenient due to the double buckle) and some with were designed to be used as saddlebags (with extra retention chains attached - not sure why). The last listed tend to often be very dirty indeed. One thing to note is that these bags had in period come under very heavy use indeed and while I rarely see such damage as broken stitched, they can sometimes arrive very dirty indeed. 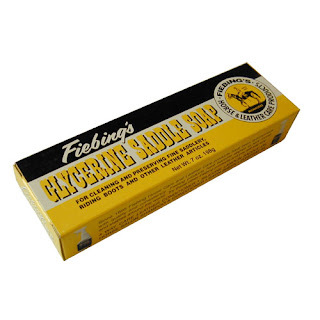 This was the case with my bag, which resulted in the necessity of cleaning in my bathtub with saddle soap (don't worry, this leather is not going to be damaged by a little soap and water!). Another identical bag with I purchased for my mother in law, I cleaned with way as well as turning the bag inside out and sanding the inside with my belt sander in order to refresh this inside which was quite dirty indeed (I swear, it's like someone had been using it to haul dirt or something). In any case, once cleaned and dried, I treated the outside of the bag with Obenauf's Heavy Duty L.P. (this stuff is awesome for treating and conditioning leather), buffed it up with a clean shoe brush and it was as beautiful and anyone could hope the leather itself is a mid-mahogany brown with all the patina and character one could ever hope for from leather that is very nearly 80 years old. The stitching is still very secure and the leather overall is soft, supple and in tip-top condition. 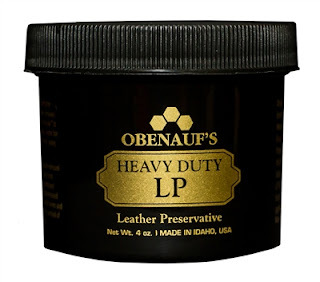 They only maintenance I've been doing is the once yearly cleaning with saddle soap and perhaps a once-yearly treatment with the aforementioned Obenauf's.